Taking the opportunity to do a Casio EF-539D-1AVEF review today. This watch is part of their Edifice series. In all honestly it’s worth checking out the whole Edifice series but I’m going to do my best to review my top picks in the coming weeks. 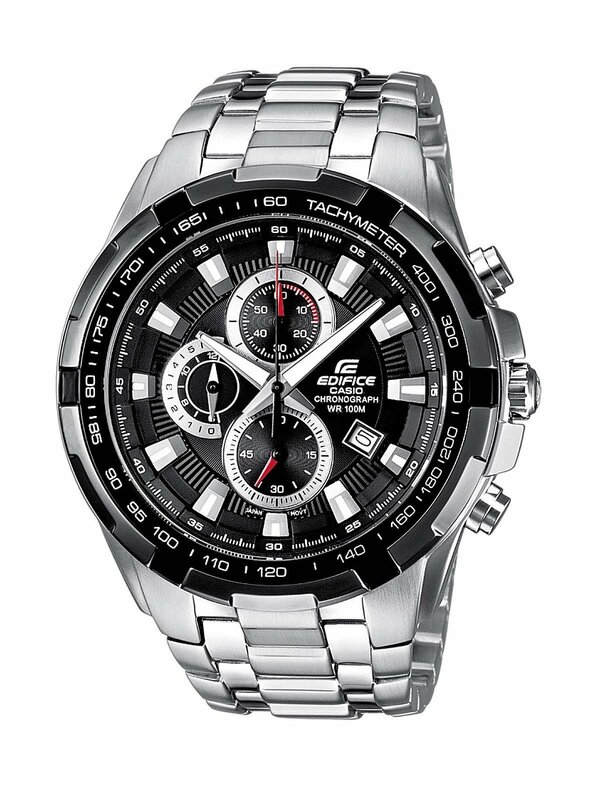 So this is currently the most popular Edifice watch and it’s not hard to see why. They’ve gone for a rather safe but great look design in my eyes. I like the black and white overall design of the dial with the tiny detailing of red to add a touch of colour. This watch is massive. With a diameter of 48.5mm this is considered an extra large watch. To put it into prospective most men’s watches are commonly around the 42mm mark. The thickness on the other hand is just average at 1mm. So whilst the watch may be large it wont feel overly chunky on your wrist, the band is 26mm though so this will feel thicker than your standard 22mm. The dial is also going to be extra easy to read with a neo-illuminator display that emits UV light. 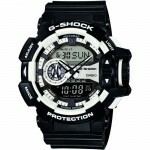 This means the watch is easy to read in the dark or dim lit situations. The glass of the watch is a mineral crystal. This is what I would expect for a watch of this value. It’s in the middle when it comes to scratch protection. The next one up would be a sapphire crystal but you wouldn’t expect that at this price. Mineral glass will deal with most scratches and some others can easily be buffed out. As far as i’m concerned the main type you want to avoid is acrylic as that would scratch easily. The EF-539D-1AVEF has a standard date feature sitting slightly offset from your normal position to allow for the Casio Edifice logo. It’s pretty much the second most common position but I do like it. The clasp used is a push button with safety. I do prefer the push button watches but don’t feel the need for the safety, mainly because I find them a bit of a pain to open up myself. So what do I think overall. We’re looking at a quality watch with some great features from a very well known reliable brand for under £100. That’s pretty fantastic really. 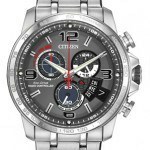 It also has a lot of great features like the chronograph, luminous display and hard wearing design. I’d be more than happy recommending this to my friends as it’s a great affordable watch. I think someone looking for a reliable watch that’s value for money would do well to pick this watch. You may also enjoy my top 21 under £200 as you may find something else you also like. Hope you enjoyed my Casio EF-539D-1AVEF review. You can buy this watch on Amazon.